Do you realize of any Pools in Myanmar that needs to be listed here? Contact us!. Most from the Myanmar Pools supply both open lanes for independent swimming and also guided activities like water aerobics or Aquabike. Traveling to Myanmar? This can be the right spot on the net to find places to swim in Myanmar. Each day you will be not swimming you might be losing precious time in improving your expertise to be a better swimmer! No alot more excuses! 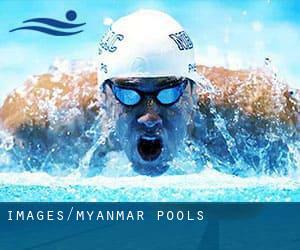 Locate your nearest Myanmar Swimming Pool and tell us how it went. 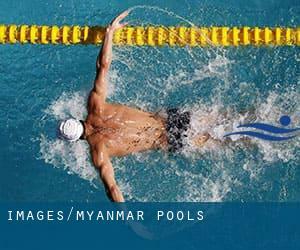 Swimia.com has the most up-to-date database on the internet about almost any Myanmar Swimming Pool. Classified by countries, regions and cities, it really is uncomplicated to find the nearest pool at the locations you visit. For Myanmar, you'll be able to have a look at the pools we have gathered for you. Please use the contact knowledge supplied at each and every pool profile to check if they are offering aquagym lessons, mainly because just isn't so common to see an Aquagym in Myanmar. Not all countries would be the identical, and swimming rules and regulations are changing from one country to the other. So, if this can be your first time seeking for Myanmar Pools, be sure to call the premises before you drop by. One in the advantages of outdoor swimming in Myanmar is the possibility to sunbathe during the summer season. Taking it with extra care, sunbathing is healthful since introduces Vitamin D into the body, so the perfect alternative seems to be switching amongst indoor and outdoor pools based on the season. Whereas Mawlamyine is one of the six most populous cities in Myanmar with nearly 438.861 residents, you shouldn't miss that one if you're going to Myanmar. Swimming is a wonderful idea to keep your body active in the course of your visit to Yangon (Myanmar), or even if you are a local. Swimia assists you to discover your closest Swimming Pool in Yangon. Without a shadow of a doubt, swimming in Nay Pyi Taw may be the best option to unwind after perform. Take a couple of minutes to browse Swimia's catalog to find a Swimming Pool in Nay Pyi Taw. Holding an estimated population of 1.208.099, Mandalay is one of the most important cities in Myanmar. Check all the Pool in Mandalay and its surrounding region. 24-26 Kaba Aye Pagoda Road , Bahan Township , Yangon (Rangoon) (BURMA). Among all of the activities supplied by the center, if you are considering swimming you might get pleasure from 30 meters (approximately), Outdoors. If you should get in touch with this Swimming Pool, e-mail address and phone number are both number. Tha Htone Road , Kamayut Township , Yangon (Rangoon) (BURMA). Among all of the activities supplied by the center, if you are interested in swimming you can expect to enjoy 33 meters x 15 meters, Outdoors. Just in case you wish to contact this Swimming Pool before dropping by, we only know the phone number. 34 Sayasan Lan , Yangon (Rangoon) (BURMA). Swimmers like you have reported 33 meters x 12 meters, Outdoors. Also, you will find 30 meters x 12 meters, Outdoors. Just in case you want to contact this Swimming Pool before dropping by, we only know the phone number. No. 1 Junction of 26th & 66th Street , Chan Aye Tharzan Township , Mandalay (BURMA). Among all the activities offered by the center, if you are interested in swimming you will take pleasure in 40 meters x 20 meters, 1.5 meters depth, 1.5 meters depth, Outdoors. If it is advisable to contact this Swimming Pool, email address and phone number are both number. Kandawgyi Park , Lake Road , Yangon (Rangoon) (BURMA). Among all the activities supplied by the center, for anyone who is considering swimming you will enjoy 35 yards x 50 feet, 3 feet - 9 feet depth, Outdoors. Just in case you would like to make contact with this Pool before dropping by, we only know the phone number. U Wisara Lan , Dagon , Yangon (Rangoon) (BURMA). This sports center provides Olympic size x 25 meters, Outdoors. For this Pool, only phone number is number here.